Noushin Shabab joined Kaspersky Lab in 2016 and is a senior security researcher based in Australia, specialising in reverse engineering and targeted attack investigations. Part of the Global Research & Analysis Team (GReAT), her research focuses on advanced cyber-criminal activities and targeted attacks in Asia Pacific. 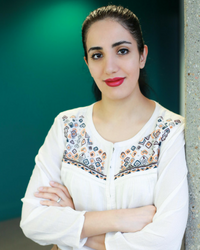 Prior to joining Kaspersky Lab, Noushin used to work as a senior malware analyst and software developer for a prominent security software company in Middle East. She has first-hand knowledge of rootkit analysis, detection techniques and APT attack investigations. Noushin remains active in the local cyber security community in Australia, New Zealand and the rest of APAC by presenting at various local security conferences. Her prominent keynotes include INTERPOL World, Singapore 2017, Ruxcon, Australia 2017, BSides Wellington 2017, WICME (Women in Cyber Mentoring) organized by the department of Prime Minister and Cabinet and recently at this year’s Security Analyst Summit (SAS) in Cancun, Mexico. She is also a member of the Australian Women in Security Network (AWSN) which aims to support and inspire women in the Australian security industry. She was the first mentor to provide technical workshops and mentorship for the AWSN female cadets program which aims to bridge the skill gap between universities and industry of security.